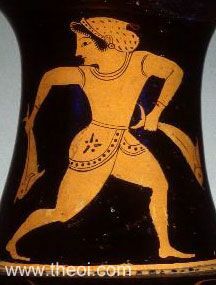 Neck: Detail of one of a pair of Nereid-nymphs depicted on the neck of the vase. She holds a pair of fish or small dolphins. Side: Chiron and boy Achilles (see other image).